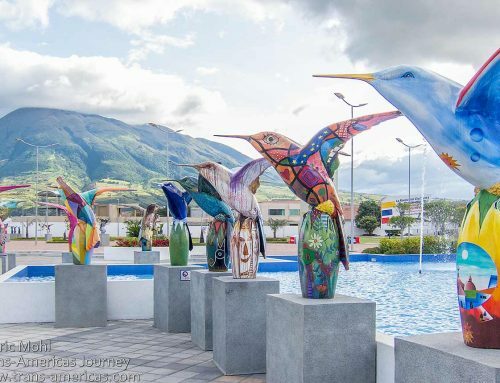 Ecuador has less than a dozen major archaeological sites. 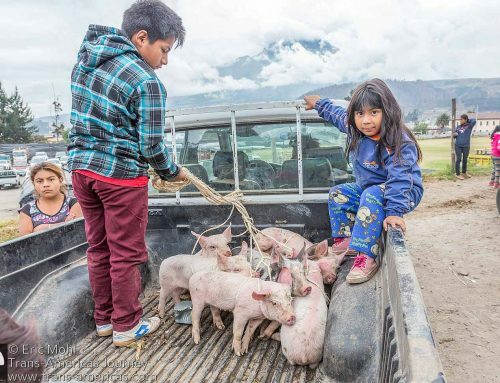 Ingapirca, near Cuenca, is the biggest archaeological site in Ecuador and because it was created by the Cañari people before being expanded by the Incas, Ingapirca a great place to get a glimpse of two cultures. 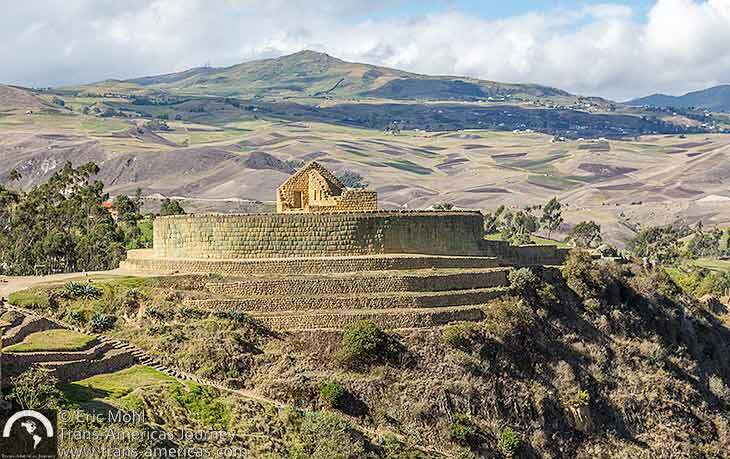 The Temple of the Sun at the Ingapirca archaeological site in Ecuador. 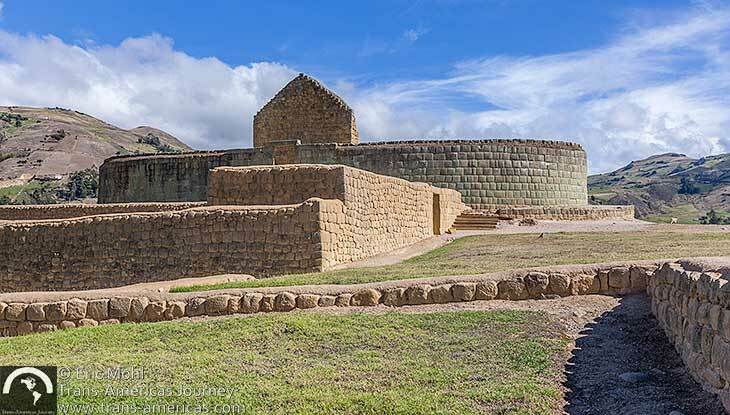 The Ingapirca archaeological site (US$2 per person including a 45 minute guided tour of the site in English or Spanish, guides are mandatory) is sometimes called Inka Pirka. 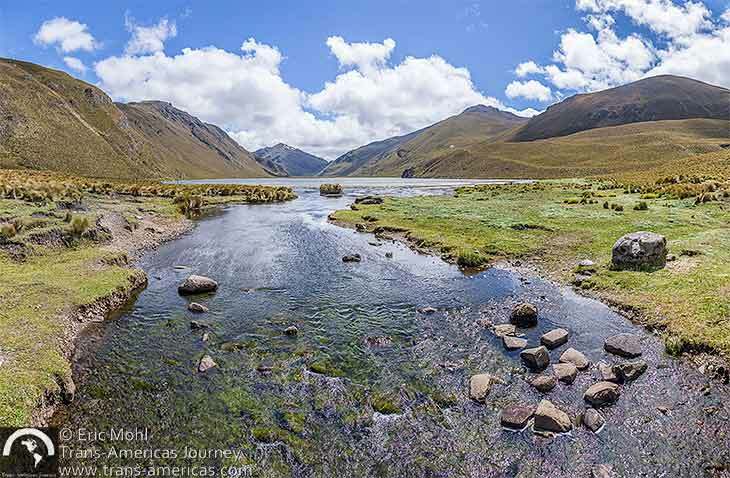 It’s at nearly 10,500 feet (3,200 meters) and the name means Incan Stone Walls in Quechua and there are certainly plenty of walls, but they’re not all Incan. 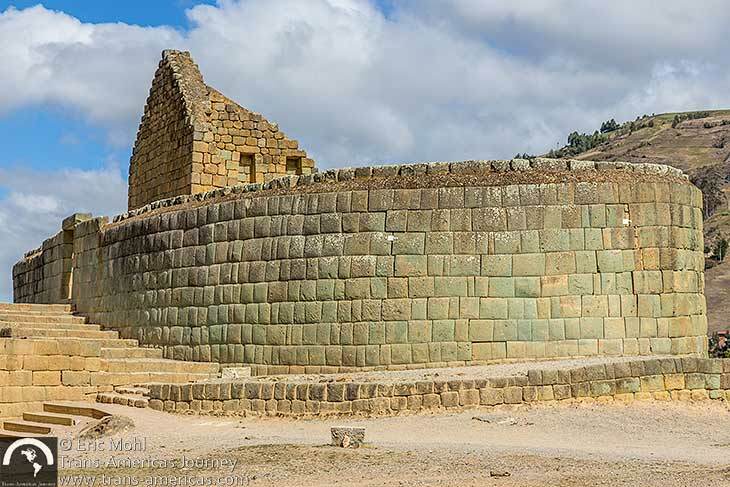 The first structures at Ingapirca were built by the Cañari people as their capital in the north. 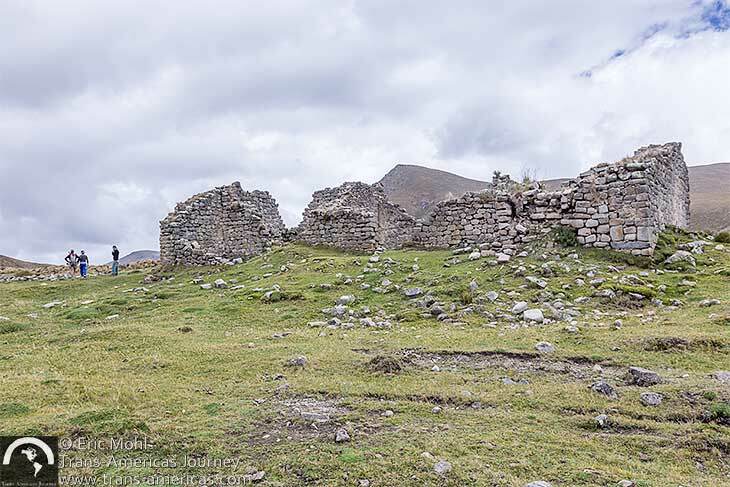 By the 15th century, the Incas were on the rise and they ultimately took over Ingapirca which they used as a ceremonial site and a defensive installation. Visitors can still see circular holes in the ground which were probably used to store crops. There’s a House of the Virgins where young women were sequestered, and there were neighborhoods where people lived. 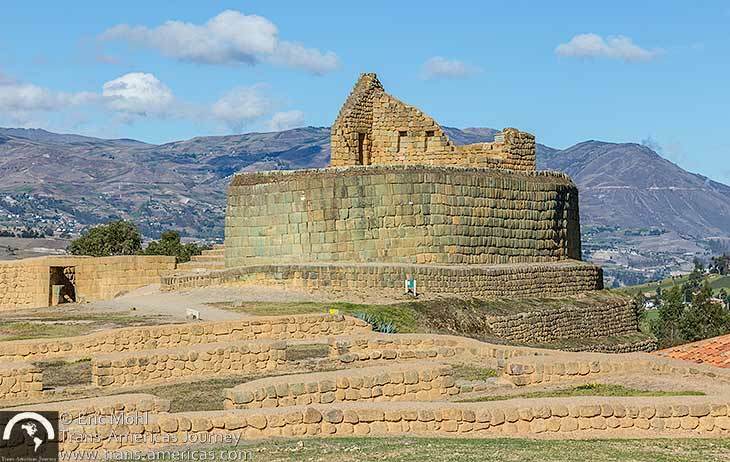 The Cañari constructed a Temple of the Moon and when the Incas moved in they built a Temple of the Sun, also called The Castle. 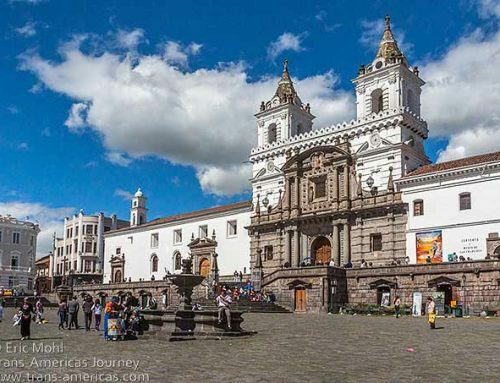 This oblong building is on a small rise and features the Incas signature precisely cut stonework. However, the odd shape of the temple, dictated by the piece of land that’s it’s on, meant that mortar had to be used in some places even through the Incas almost never used mortar. 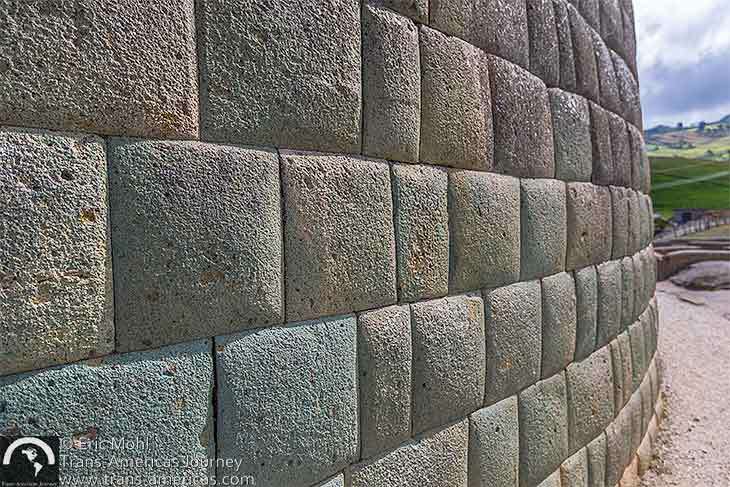 Amazing Incan stonework in the curved walls of the Temple of the Sun. There’s also a museum at the site with displays described in English and Spanish. We recommend that you start there. The 20 minutes it takes to see the museum will give you a little context for the site itself. Get an overview of the Ingapirca archaeological site in our drone video, below. There are a handful of small shops and basic restaurants near the entrance to the Ingapirca site. A nearby trail leads to a huge rock called the Incan Face (for reasons you can imagine). As we walked toward the view point over that rock (which does actually look like a classic Incan profile) we passed an old woman selling things out of her home including carved stone amulets, a star-shaped carved stone weapon, and some amazing pottery. To our untrained eyes it seemed like she had real artifacts from the site. 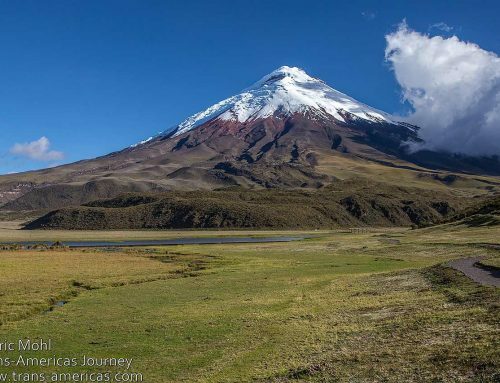 It’s well-known that before the site was protected stones were taken from Ingapirca and used to build other structures in the area, first by the Spanish conquistadors, who arrived before the Incas were done expanding the site, and then by locals. It’s not inconceivable that a few artifacts were spirited out along the way. 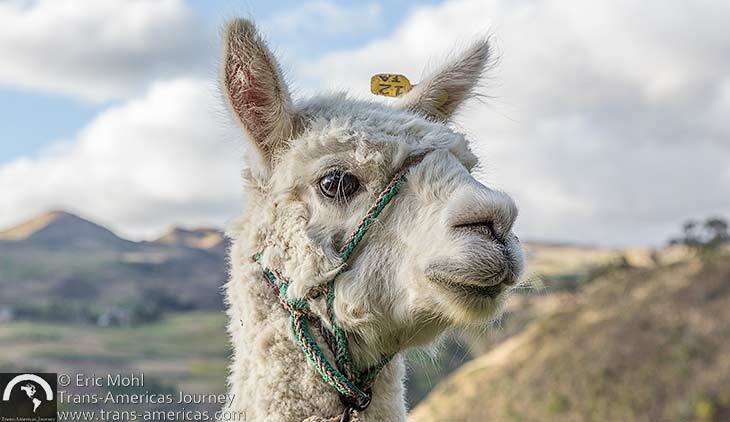 An alpaca, one of the best things that come with high altitude locations. 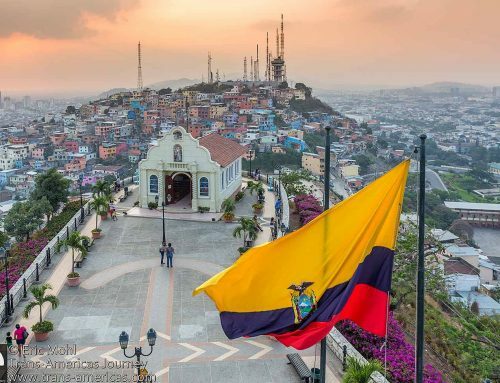 The Ingapirca site is only about an hour and a half from Cuenca and you’ll be tempted to simply take one of the many day trips offered from the city. 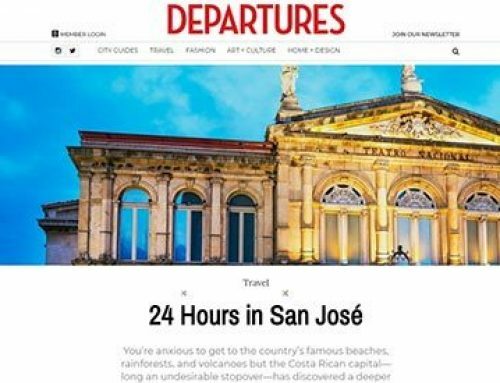 However, if you have the time plan to spend at least one night in the area. 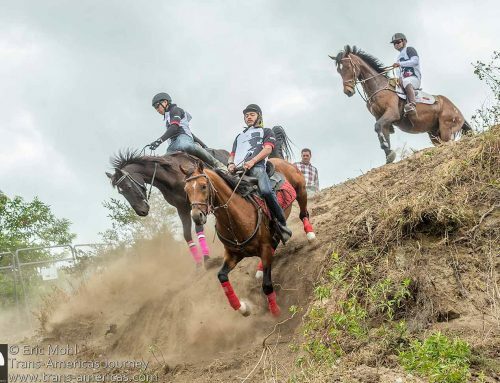 It’s lovely countryside through which you can ride horses and hike, in part, on sections of the Inca Trail. Posada Ingapirca hotel and restaurant. There’s also a wonderful hotel less than a 10 minute walk from the Ingapirca site. 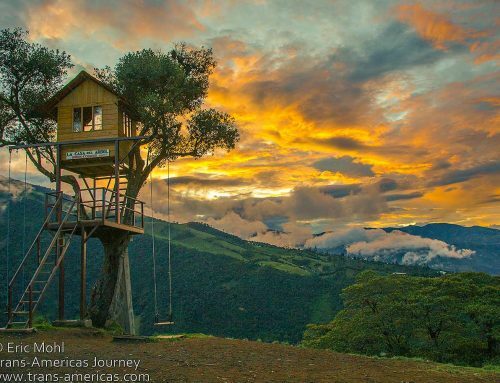 Posada Ingapirca is owned and operated by the same family that runs Hotel Victoria in Cuenca. 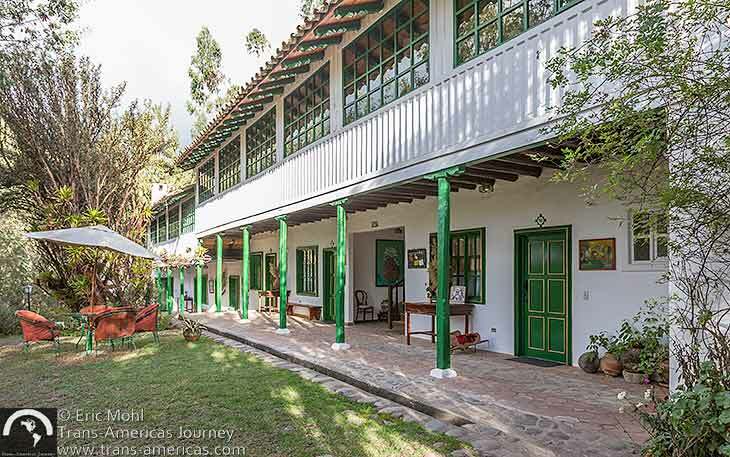 The original building at Posada Ingapirca is more than 200 years old and the family purchased it and the property in the ’90s. 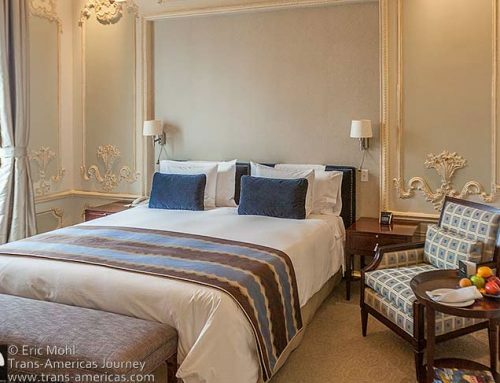 After renovating the property and adding modern bathrooms and electricity to a wide range of rooms it opened as a quaint and comfortable country hotel. 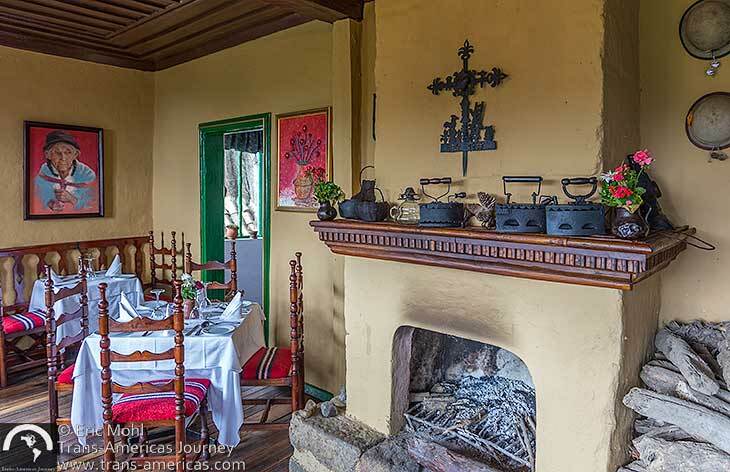 The dining room is in a 200-year-old building at Posada Ingapirca. Rooms have thick adobe walls, exposed beams in the ceilings, hand painted head boards and no TVs. Some rooms have fireplaces and hot water bottles are provided at night. Alpacas roam the property and there’s a small cuy (guinea pig) farm. The floor of the main building and restaurant creaks and the whole structure moves when anyone enters or exits. 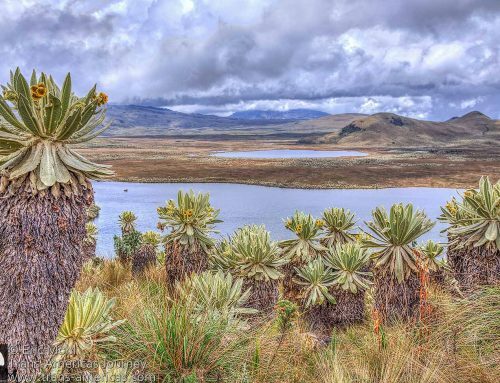 Lake Culebrillas in Sangay National Park in Ecuador. Even if you’re not spending the night at Posada Ingapirca, stop by for a meal (US$10 lunch or dinner). 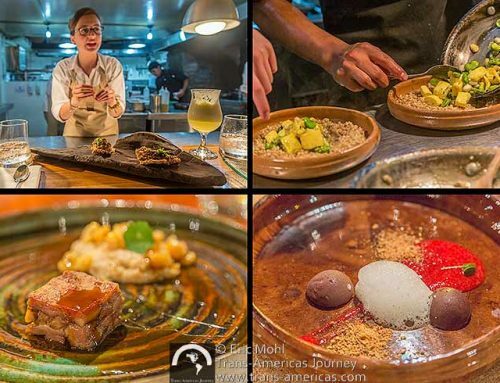 The menu is full of gourmet takes on Ecuadorean classics. We particularly remember the succulent lamb and, of course, the soups. 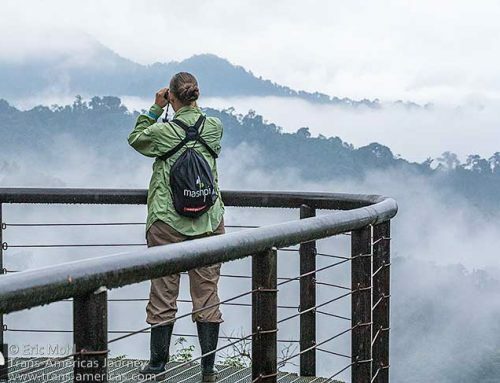 While we were at Posada Ingapirca we took a fantastic guided hike. 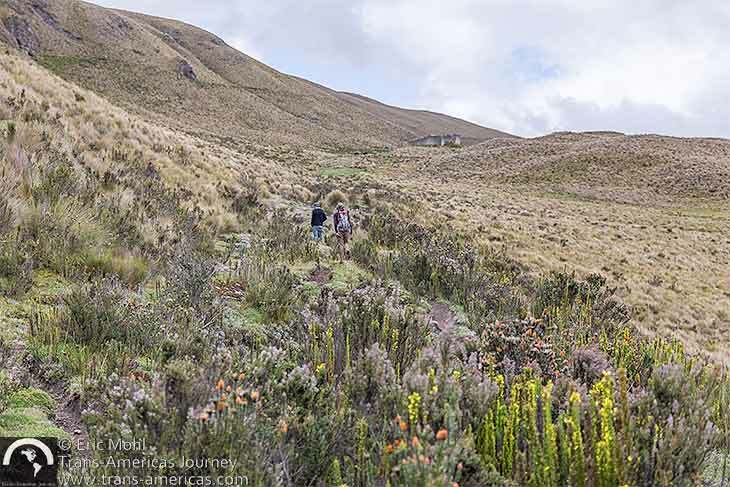 After driving about an hour to Lake Culebrillas in the vast Sangay National Park, we started the 8 mile (12 km) route around the lake, along part of the Inca Trail, then across high altitude paramo landscapes at more than 13,000 feet (4,000 meters). 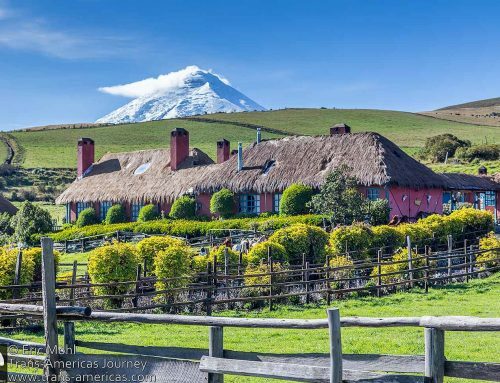 The route also passes a rarely visited Inca tambo (roadside or trail-side guest house). Allow about five hours and in wet weather you may want rubber boots. Exploring the remains of a remote Incan tambo. Wow those heights are no joke. Impressive stuff. 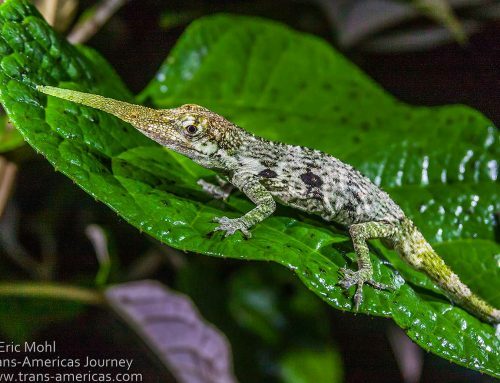 I recall feeling pretty famished early on during my time in Cusco, Peru, and that was about 2 miles high. But after spending a week in the place I felt good in the Andes. Agreed on alpacas; they are cute!